Lisa makes a signature Indiana pie, the sugar cream pie. This was originally made by Indiana settlers who used custard as a filling when fruit wasn’t available. Lisa makes all the classic fruit pies, but also specialties like butterscotch cream pie, gooseberry pie and caramel apple walnut. Fun fact: Lisa’s Pie Shop made a 2016 list of USA Today’s top destination pie shops in America, so she’s worth the drive. Take your pie to go with the unique pie-in-a-jar. It’s exactly what it sounds like - crust and all, stuffed in a 4, 8 or 16 oz mason jar. Choose from black raspberry, apple, blueberry, cherry, peach or strawberry rhubarb. These are perfect if you want to sample a few different flavors without committing to a whole pie. Plus, they make great gifts and stocking stuffers. Lisa’s bread and butter is pie, but she makes other baked goods, too. On her menu you’ll find cookies, quiches, pumpkin rolls and breads like pineapple zucchini. If you stop by the shop, know that it’s cash-only, so come prepared. 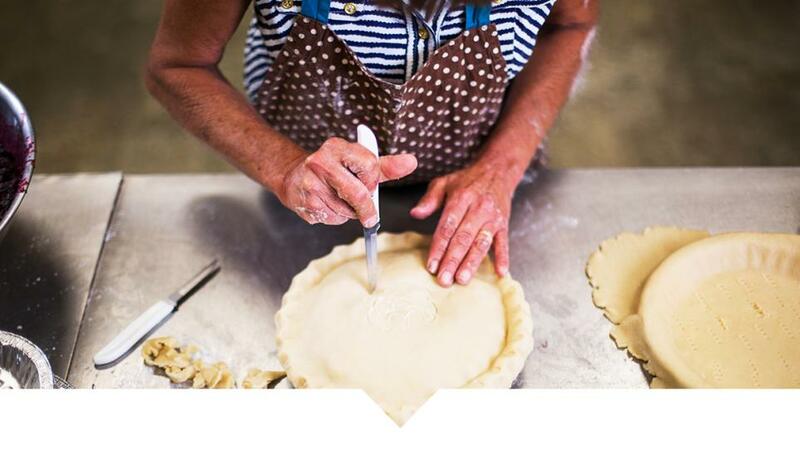 You can place orders in advance to guarantee that Lisa will have your pie of choice. Pies make a sweet gift, and luckily, Lisa can ship her treats - just give her a call. For more good eats in Hamilton County, be sure to follow us on Facebook, Twitter and Instagram.